Unmanned Aerial Vehicles or Drones designed and manufactured in Pakistan have been making news since IDEAS 2008 event in November of last year. Also in the news has been the growing reliance on armed drones (aka predators) by Americans in Afghanistan and Pakistan's FATA region to target militants with increasing casualties. This post is an attempt to put these headlines in perspective for those interested in the 21st century high tech warfare. Back in 1970, the U.S. Army Gen. William Westmoreland is reported to have said: “On the battlefield of the future, enemy forces will be located, tracked and targeted almost instantaneously through the use of data links, computer-assisted intelligence and automated fire control. … I am confident the American people expect this country to take full advantage of its technology–to welcome and applaud the developments that will replace wherever possible the man with the machine.” Is this vision from the 1970s being realized today? The basic strategies and thought processes are the same but the methods of Sun Tzu or Carl von Clausewitz or WW2 are long gone as the modern battlefields evolve. There are still tactics such as the use of decoys, deception and the element of surprise, but today the remote-controlled Unmanned Combat Air Vehicles (UCAVs), high-tech guidance and targeting systems, mobile missile launchers and anti-aircraft systems are some of the most sophisticated technologies on the planet. Reflecting the modern realities, the US military is targeting its recruiting efforts on a generation of Americans that has grown up with computer-based video games. The recently opened Army Experience Center in Philadelphia is a fitting counterpart to the retail experience: 14,500 square feet of mostly shoot-’em-up video games and three full-scale simulators, including an AH-64 Apache Longbow helicopter, an armed Humvee and a Black Hawk copter with M4 carbine assault rifles. For those who want to take the experience deeper, the center has 22 recruiters, according to a report in the New York Times. On a practical level, thousands of miles away from the battlefields of Iraq and Afghanistan, American remote pilots in Nevada fly armed drones and target the perceived enemy with deadly force. In front of the remote human pilots is a live video from the Predator's camera, thousands of feet above ground. Buildings and trucks come into view. They zoom in and out, put the cross-hairs on the targets and fire missiles with ease, killing dozens on the ground. Beyond Nevada,at Djibouti's Camp Le Monier, CIA agents and special forces troops - about 1500 personnel in all - have opened a wide-ranging but little-reported front in President George W. Bush's so-called "war on terror". This high-tech, not-so-covert battle is part of a broader US effort against suspected terrorists. It surfaces frequently, with news of air strikes on suspected Taliban forces in Afghanistan or al Qaeda operatives in Yemen. Such warfare places heavy reliance on the accuracy and breadth of human intelligence on the ground. In Afghanistan, failure of such intelligence has often led to growing friendly fire incidents and increasing civilian casualties. In addition to human intelligence on the ground, there is need for Electronic Warfare Support (ES). ES in military terms, is the passive detection of signals in order to detect and locate threats or target location, information necessary to conduct Electronic Attack (EA). By comparison, Signals Intelligence (SIGINT) is the related process of analyzing and identifying the intercepted frequencies (e.g. as a cell phone or RADAR). SIGINT is a combination of ELINT, COMINT, and MASINT. On the military strategy and planning front, wargames are a subgenre of strategy video games that emphasize strategic or tactical warfare on a map. Computer wargames are generally classified based on whether a game is turn-based or real-time and whether the game's focus is upon military strategy or tactics. These distinctions divide computer wargames into four categories: real-time strategy, real-time tactics, turn-based strategy, and turn-based tactics. Wargaming is an essential part of any high-tech military campaign. Given the nature of the broad shift to high-tech warfare in the battlefields of the world, it is understandable that Pakistan's military is beginning to take it seriously. All three Pakistani military branches have sought to build UAV capabilities. The Army has considerably increased its UAV inventory; the Air Force has formed two UAV squadrons (with the intention of fielding up to six); and the Navy tested the Schiebel Camcopter S-100 rotary UAV from a frigate in March, Defense News reports. Karachi-based Integrated Dynamics, the designer and manufacturer of drones for Pakistan Army and Air Force, actually exports its Border Eagle surveillance drone to the United States for border patrol duties. 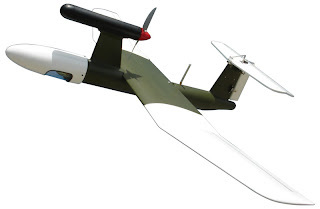 The company also makes drones for the turbojet-powered Tornado decoy, which can fly up to 200 kilometers, and emit false radar signals to confuse enemy air defenses into thinking they are attacking aircraft. Pakistan's traditional rival India is pursuing relationships with Israel and UK to acquire UAVs. All of India's current UAV needs are met by Israel, and this partnership will ensure that will continue to be the case for at least the near future. It is not like Pakistan had an option -- with not much money left to buy real fighter planes, and with all Pakistani airforce pilots too busy land-grabbing in Karachi and elsewhere, thus having no time to train for combat action, drones are the way to go. In fact the Pakistani army should be entirely replaced by walking drones. There will soon be a couple of Unmanned Army Brigades (UAB). Integrated Dynamics is exporting also to Italy, Spain and other countries. Their technology is all based on Chinese components and integration work is done in Karachi with significant electronic design and testing, which is not a small feat, as we both know. Along with the high-tech robotics, you still need significant human intelligence and well-trained special ops units to be effective. In fact, that's where the US has been lacking, in addition to lack of political framework needed to win the war on terror. According Israel's Haaretz newspaper, Iran is claiming building a UAV with 600 mile range. A top Iranian defense official said Wednesday that the country has built an unmanned surveillance aircraft with a range of more than 600 miles (1,000 kilometers). Deputy Defense Minister Ahmad Vahidi told the semiofficial Fars news agency that he could not provide more details on what he called an important achievement. 5/5/2010 - TUCSON, Ariz. (AFNS) -- Eight Pakistani air force pilots, each experienced in the F-16 Fighting Falcon's A and B models, recently learned to fly the newer C- and D-model aircraft at the 162nd Fighter Wing, the international F-16 training unit, and were honored at a graduation ceremony May 4 here. Iran's official news agency said today that a sophisticated computer worm purportedly designed to disrupt power grids and other such industrial facilities had infected computers at the country's first nuclear-power plant but had not caused any serious damage. The Stuxnet worm, which some see as heralding a new era of cyberwarfare, appeared in July and was already known to be widespread in Iran. In fact, its high concentration there, along with a delay in the opening of the Bushehr plant, led one security researcher to hypothesize that Stuxnet was created to sabotage Iran's nuclear industry. In addition to emphasizing the threat posed by the worm, which could be used to remotely seize control of industrial systems, today's news could well add to speculation about Stuxnet, the sophistication of which has caused some to suspect that a nation state, such as Israel or the U.S., might be behind its creation. The worm exploits three holes in Windows, one of which has been patched, and targets computers running Siemens software used in industrial control systems. Mahmoud Jafari, the project manager at the Bushehr plant, said the worm "has not caused any damage to major systems of the plant" and that a team was working to remove it from several computers, according to Iran's IRNA news agency, which was cited in a report by the Associated Press. Jafari said the infection involved the personal computers of several staff members working at Bushehr and would not affect plans to open the nuclear plant in October, the AP reported. Attacks on computer systems now have the potential to cause global catastrophe, but only in combination with another disaster, the Organisation for Economic Cooperation and Development (OECD) said in a report on Monday. The study, part of a wider OECD project examining possible "Future Global Shocks" such as a failure of the world's financial system or a large-scale pandemic, said there were very few single "cyber events" that could cause a global shock. Examples were a successful attack on one of the technical protocols on which the Internet depends, or a large solar flare that wiped out key communications components such as satellites. But it said a combination of events such as coordinated cyber attacks, or a cyber incident occurring during another form of disaster, should be a serious concern for policy makers. "In that eventuality, 'perfect storm' conditions could exist," said the report, written by Professor Peter Sommer of the London School of Economics and Dr Ian Brown of Britain's Oxford University. Governments are increasingly emphasising the importance of cyber security. The United States is preparing for cyber conflict and has launched its own military cyber command. Britain last October rated cyber attacks as one of the top external threats, promising to spend an extra 650 million pounds ($1 billion) on the issue. Meanwhile, emerging nations such as China and Russia are believed to see it as an arena in which they can challenge the United States' conventional military dominance. The Stuxnet computer worm -- which targets industrial systems and was widely believed to be a state attack on Iran's nuclear programme -- is seen as a sign of the increasing militarisation of cyberspace. The New York Times reported on Saturday that the worm was a joint U.S.-Israeli effort and had been tested at Israel's Dimona nuclear plant. The OECD study concluded that cyber attacks would be ubiquitous in future wars, and that cyber weaponry would be "increasingly deployed and with increasing effect by ideological activists of all persuasions and interests". "There are significant and growing risks of localised misery and loss as a result of compromise of computer and telecommunications services," the report said. But it concluded that a true "cyberwar", fought almost entirely through computer systems, was unlikely as many critical systems were well protected and the effects of attacks were difficult to predict, and so could backfire on the assailants. Brown said adopting a largely military approach to cyber security was a mistake, as most targets in the critical national infrastructure, such as communications, energy, finance and transport, were in the private sector. Campaigners against US drone strikes in Pakistan are calling for the CIA's former legal chief to be arrested and charged with murder for approving attacks that killed hundreds of people. Amid growing concern around the world over the use of drones, lawyers and relatives of some of those killed are seeking an international arrest warrant for John Rizzo, until recently acting general counsel for the American intelligence agency. Opponents of drones say the unmanned aircraft are responsible for the deaths of up to 2,500 Pakistanis in 260 attacks since 2004. US officials say the vast majority of those killed are "militants". Earlier this week 48 people were killed in two strikes on tribal regions of Pakistan. The American definition of "militant" has been disputed by relatives and campaigners. Rizzo, who was by his own admission "up to my eyeballs" in approving CIA use of "enhanced interrogation techniques", said in the interview that the CIA operated "a hit list". He also asked: "How many law professors have signed off on a death warrant?" Rizzo has also admitted being present while civilian operators conducted drone strikes from their terminals at the CIA headquarters in Virginia. The reason is that while we most often focus on the narrative of collateral damage in discussions of these drone strikes, our interpretations are not only shaped by whether civilians get in the way or not. There is something more at work. The meaning of these strikes – and the battle to define their morality and efficacy – cuts to the heart of the narratives by which each side in the “war on terror” defines itself. It is for this reason that completely different interpretations are made of the same act. To some, a person who blows themselves up along with a hotel full of civilians is a shaheed carrying out a noble act of jihad. To others, that same person is a fanatical murderer committing an ignoble act of barbarity. Similarly, a pilot who uses a drone to strike with precision from thousands of miles away may see himself as a warrior fighting in full respect of the international laws of war. But 7,000 miles away that very same pilot is described by others as a coward engaging in an act of “heartless terrorism”, as the lyrics of a Pakistani pop song put it. The use of unmanned systems may therefore provide the most graphic illustration of the “war of ideas” that underpins much of the conflict currently underway. The very value of robots in war is their ability to diminish human loss for the side using them: they are the ultimate means of avoiding sacrifice. But the side that turns to robots is fighting against those who see death as something to be celebrated, and not merely for themselves, but also for those around them. The loss of civilians to a member of al Qa’eda is not something to be lamented or apologised for, but viewed as a victory. So, with the growing use of remote technologies and terrorism, the warriors of the two sides meet less and less in battle – whether actual combat or the battle of ideologies. Each side has its own worldview, but it is one that the other side views as not only irrational, but also contemptible. Thus, when we bring together those who fight with robotics and those who see themselves as martyrs targeted by them, a powerful irony is revealed. For all our growing use of machines in war, our humanity remains at the centre of it. The dilemmas of modern warfare may seem to be driven by technological advances, but they are rooted in our all too human politics and psychology. If we want to understand the impact of using robots to wage war, we should really look within ourselves. The Obama administration is revving up the nation’s digital capabilities, while publicly emphasizing only its efforts to defend vital government, military and public infrastructure networks. “We don’t want to be the ones who break the glass on this new kind of warfare,” said James Andrew Lewis, a senior fellow at the Center for Strategic and International Studies, where he specializes in technology and national security. That reluctance peaked during planning for the opening salvos of the Libya mission, and it was repeated on a smaller scale several weeks later, when military planners suggested a far narrower computer-network attack to prevent Pakistani radars from spotting helicopters carrying Navy Seal commandos on the raid that killed Osama bin Laden on May 2. Again, officials decided against it. Instead, specially modified, radar-evading Black Hawk helicopters ferried the strike team, and a still-secret stealthy surveillance drone was deployed. “These cybercapabilities are still like the Ferrari that you keep in the garage and only take out for the big race and not just for a run around town, unless nothing else can get you there,” said one Obama administration official briefed on the discussions. The debate about a potential cyberattack against Libya was described by more than a half-dozen officials, who spoke on the condition of anonymity because they were not authorized to discuss the classified planning. In the days ahead of the American-led airstrikes to take down Libya’s integrated air-defense system, a more serious debate considered the military effectiveness — and potential legal complications — of using cyberattacks to blind Libyan radars and missiles. “They were seriously considered because they could cripple Libya’s air defense and lower the risk to pilots, but it just didn’t pan out,” said a senior Defense Department official. After a discussion described as thorough and never vituperative, the cyberwarfare proposals were rejected before they reached the senior political levels of the White House. Senior officials said one of the central reasons a cyberoffensive was rejected for Libya was that it might not have been ready for use in time, given that the rebel city of Benghazi was on the verge of being overrun by government forces. While popular fiction and films depict cyberattacks as easy to mount — only a few computer keystrokes needed — in reality it takes significant digital snooping to identify potential entry points and susceptible nodes in a linked network of communications systems, radars and missiles like that operated by the Libyan government, and then to write and insert the proper poisonous codes. According to the Pakistan Air Force (PAF) it has flown more than 5,500 strike sorties over the country’s troubled tribal regions since May 2008. In a rare glimpse into Pakistan’s attempt to counter domestic terrorism from the air, the commander of the PAF described some lessons learned to the Air Chiefs Conference here in Dubai on Saturday. The need for good airborne reconnaissance was paramount, said Air Chief Marshall Rao Qamar Suleiman. When the Pakistan army launched large-scale operations in the remote Federally Administered Tribal Areas (FATA) in August 2008, the PAF had to rely on Google Earth imagery when planning air support missions, Suleiman admitted. However, by the time that the army was ready to move against insurgents in the Swat Valley in May 2009, the PAF had acquired Goodrich DB-110 electro-optical reconnaissance pods for its F-16 fighters, together with the same company’s ground station for imagery exploitation. Intelligence analysts could now identify terrorist training camps, ammunition dumps and command and control facilities. Some of these targets were well camouflaged, and protected by bunkers, Suleiman noted. Two days before the ground offensive was launched, the PAF launched a series of interdiction missions, and followed up with close air support throughout the six-month campaign. From the imagery collected by the PAF, the army was also able to identify suitable landing zones for the airdrops of commandos. In these mountainous regions, airpower was best delivered from medium altitude by fast jets, Suleiman said. “The army has lost many attack helicopters due to their operating limitations at high elevations, and [due to] hostile fire,” he noted. Fighters could also react more quickly to developing combat situations. When the army turned its attention to South Waziristan in October 2009, the PAF conducted a seven-day campaign in advance. By now, the service had added FLIR Systems Star Safire III EO/IR sensor ball to one of its C-130 transports. Army staff on board the C-130 was able to track the movement of terrorists at night, and radio maneuvering instructions to soldiers on the ground. More than 10,600 bombs have been dropped, and 4,600 targets destroyed, he said. The PAF has flown more than 500 F-16 sorties with the DB-110 pod, and 650 with the Star Safire EO/IR sensor on the C-130. The statistics may impress but while Suleiman claimed that “we’ve broken the back of militants in the FATA,” he also warned that offensive military engagement could only accomplish “10 to 15 percent” of the task of pacifying the tribal areas. The rest must be done by dialogue, winning hearts and minds through economic development of these very poor regions, he said. In his presentation, Pakistan’s Air Chief Marshall Rao Qamar Suleiman did not mention the Selex Galileo Falco UAV. However, Pakistan was the first customer for the reconnaissance drone, which carries the Anglo-Italian company’s own electro-optical/infrared sensor ball. Suleiman later told AIN that there had been problems with the UAV’s data link, caused partly by terrain masking. “Then we put in a relay station, and started flying it higher, so now we are using it more,” he continued.